Top quality Australian Capital Territory 3'x5' flags made from durable Polyester fabric. They are finished with a strong canvas heading and 2 brass grommets. These flags look great both outdoors and indoors. 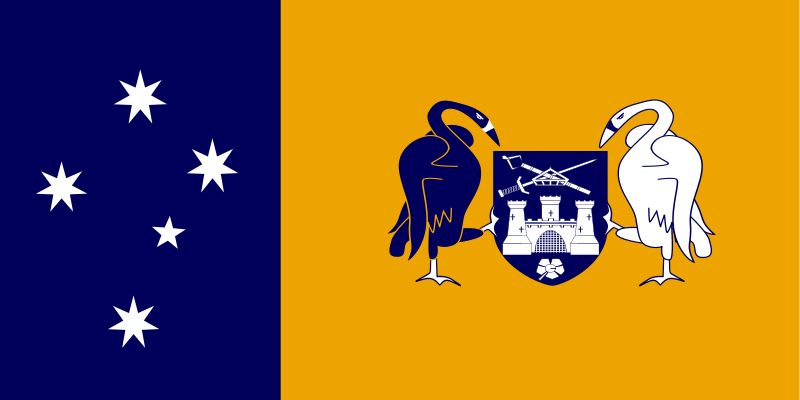 All Australian Capital Territory flags are custom-made and cannot be returned once ordered. Delivery time is between 2-3 weeks. Top quality New South Wales 3'x5' flags made from durable Polyester fabric. They are finished with a strong canvas heading and 2 brass grommets. These flags look great both outdoors and indoors. All New South Wales flags are custom-made and cannot be returned once ordered. Delivery time is between 2-3 weeks. Top quality Northern Territory 3'x5' flags made from durable Polyester fabric. They are finished with a strong canvas heading and 2 brass grommets. These flags look great both outdoors and indoors. 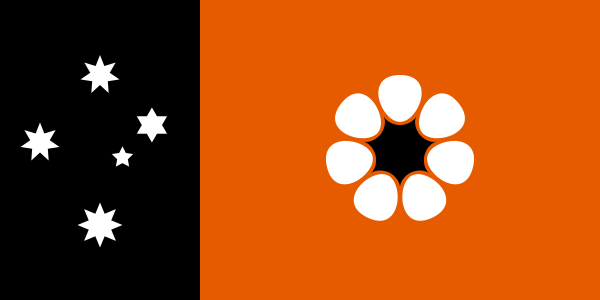 All Northern Territory flags are custom-made and cannot be returned once ordered. Delivery time is between 2-3 weeks. Top quality Queensland 3'x5' flags made from durable Polyester fabric. They are finished with a strong canvas heading and 2 brass grommets. These flags look great both outdoors and indoors. 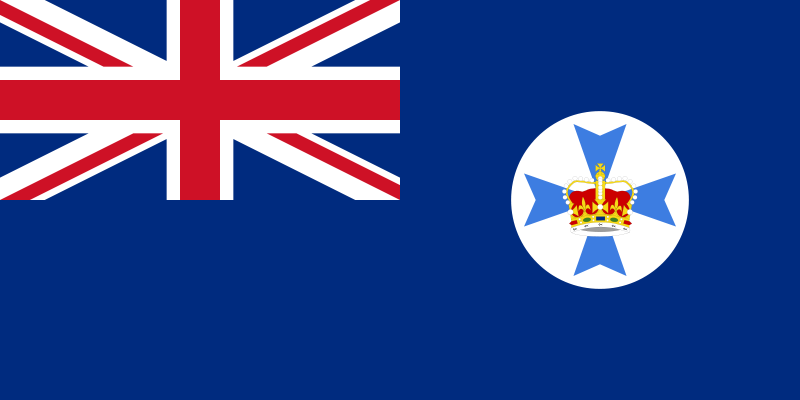 All Queensland flags are custom-made and cannot be returned once ordered. Delivery time is between 2-3 weeks. Top quality South Australia 3'x5' flags made from durable Polyester fabric. They are finished with a strong canvas heading and 2 brass grommets. These flags look great both outdoors and indoors. All South Australia flags are custom-made and cannot be returned once ordered. Delivery time is between 2-3 weeks. Top quality Tasmania 3'x5' flags made from durable Polyester fabric. They are finished with a strong canvas heading and 2 brass grommets. These flags look great both outdoors and indoors. 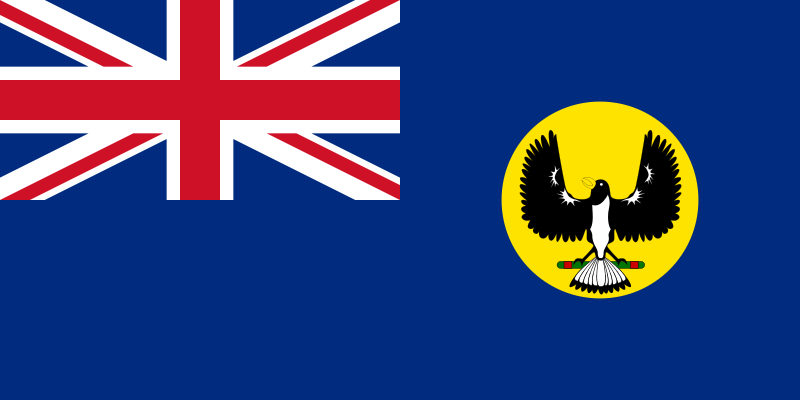 All Tasmania flags are custom-made and cannot be returned once ordered. Delivery time is between 2-3 weeks. Top quality Victoria 3'x5' flags made from durable Polyester fabric. They are finished with a strong canvas heading and 2 brass grommets. These flags look great both outdoors and indoors. 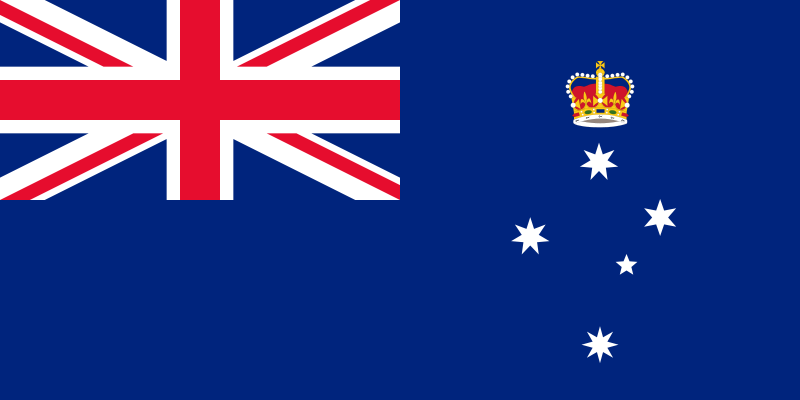 All Victoria flags are custom-made and cannot be returned once ordered. Delivery time is between 2-3 weeks. Top quality Western Australia 3'x5' flags made from durable Polyester fabric. They are finished with a strong canvas heading and 2 brass grommets. These flags look great both outdoors and indoors. All Western Australia flags are custom-made and cannot be returned once ordered. Delivery time is between 2-3 weeks.